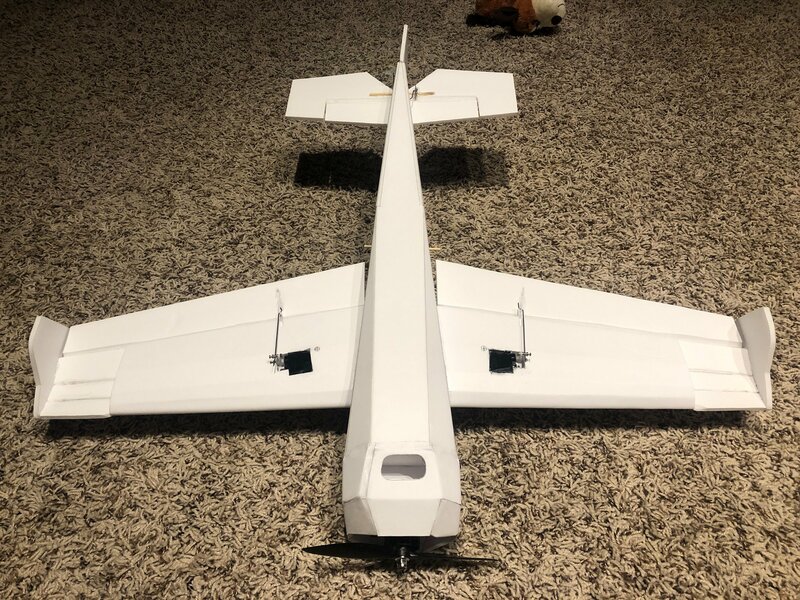 I took the FT Edge plans and shrank them down in size to have a wingspan of 609mm. 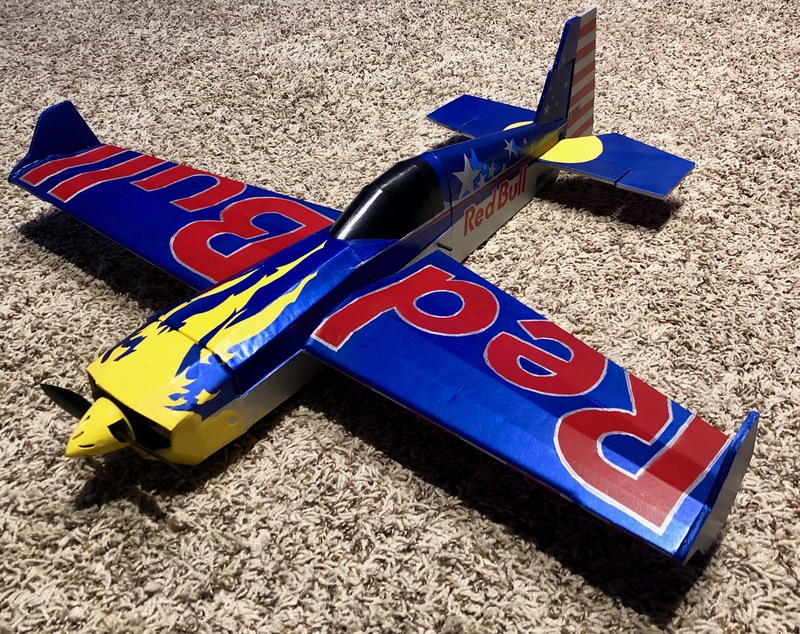 I had the Mighty Mini P-51plans laying next to me for ideas and where I could afford to loose some weight. 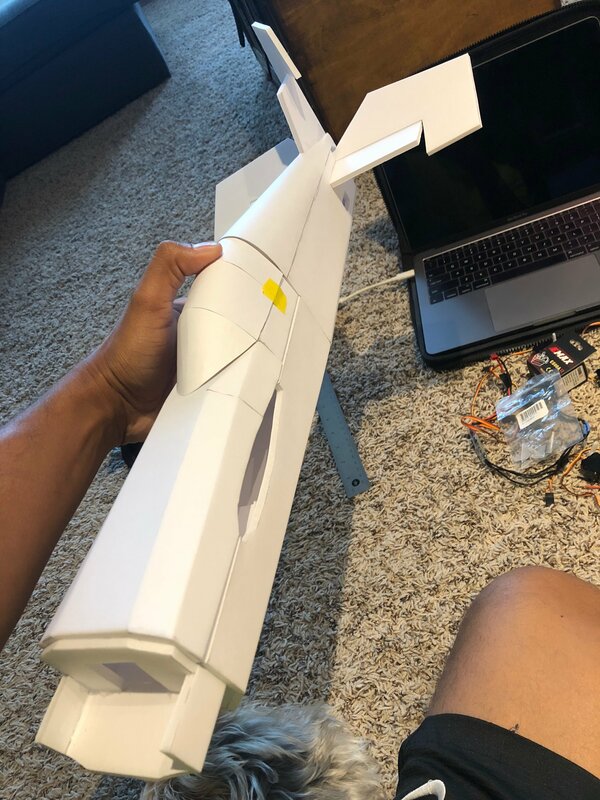 I only used 2 sheets of foam board from the dollar tree for the build and 3d printed a nose cone for it. Spray painted and then hand painted the details. 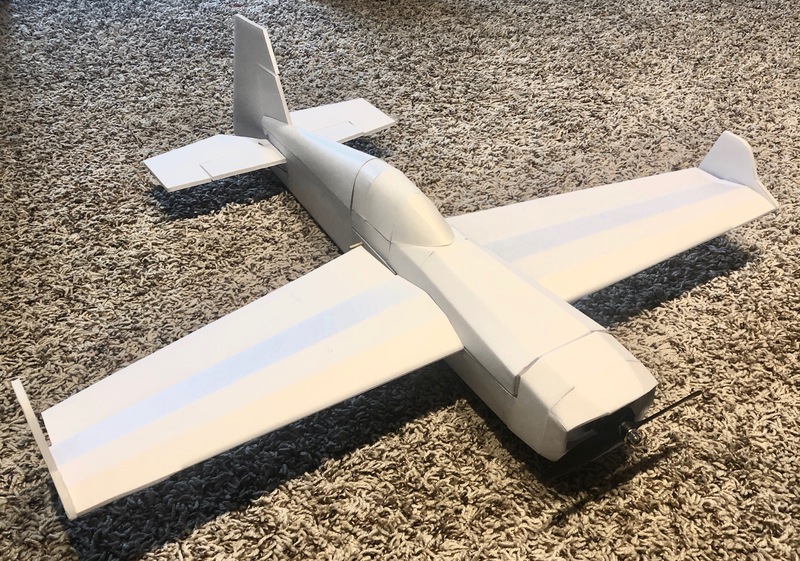 Decided I would share, I built the full scale one as well but really love the size of this 609mm it flys smooth! 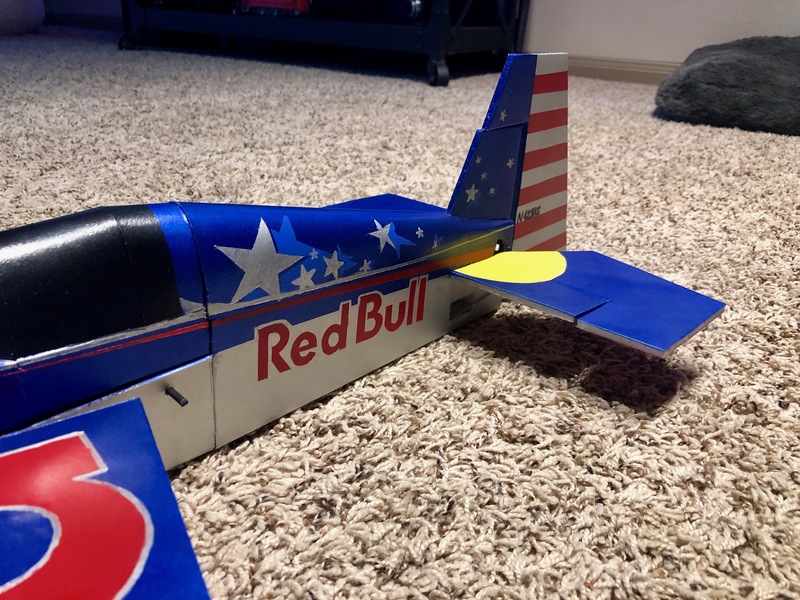 I painted it to match Kirby Chambliss' Red Bull Zivko Edge 540. Wow that is gorgeous mate. Well done. 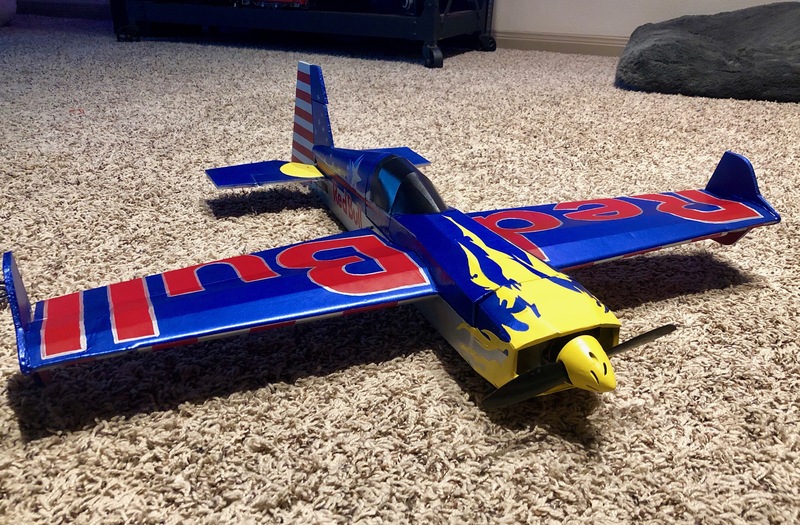 I am interested in how it flys though as usually smaller makes them more squirrelly and not too happy with slow speeds for the aerobatics. I know you said it did well though. Do you plan on some video soon maybe? Wow - She's Gorgeous! Great work. Nicely done, Sir!! It looks awesome. 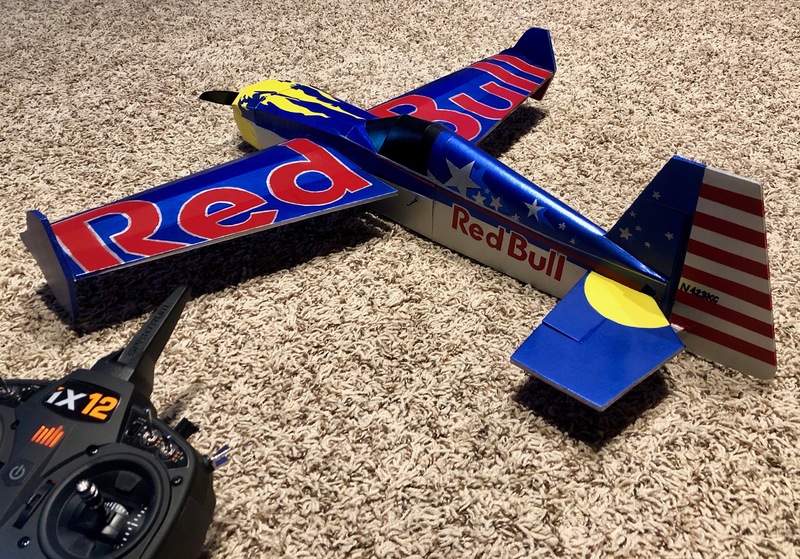 Are there plans for a flight video? Thank you for the nice words! 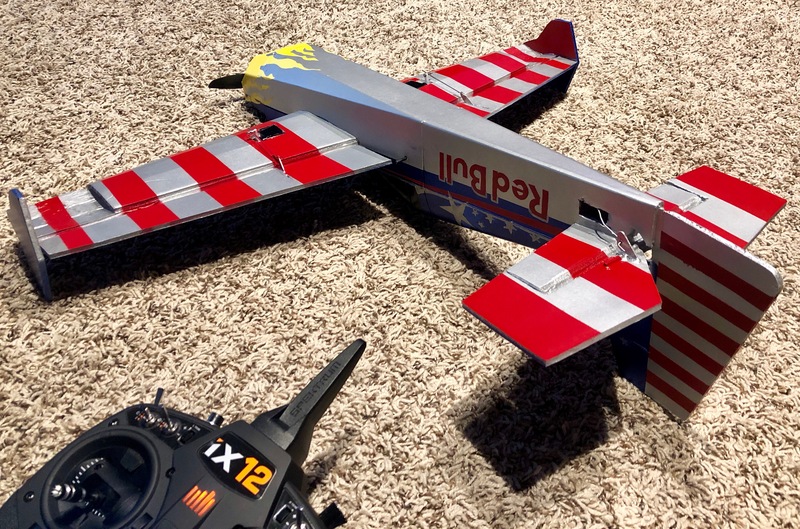 I plan to get a flight video soon, its been raining on and off like crazy here for the past several days. I don't have any updated plans but I have some notes on the scaling that I used and the pieces that I modified that I could post. Well done! 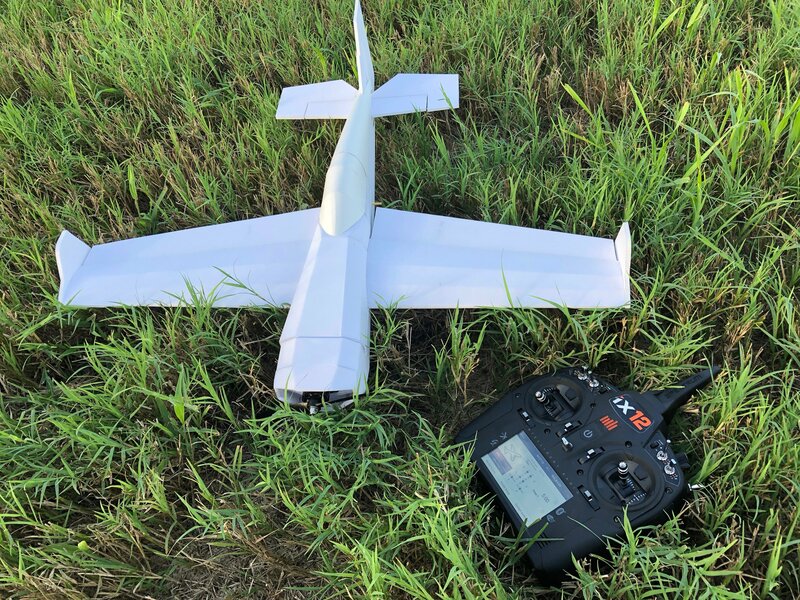 you might have some issues with torque with that scale but your prop seems small enough not to make too much of a difference. GL with the maiden! 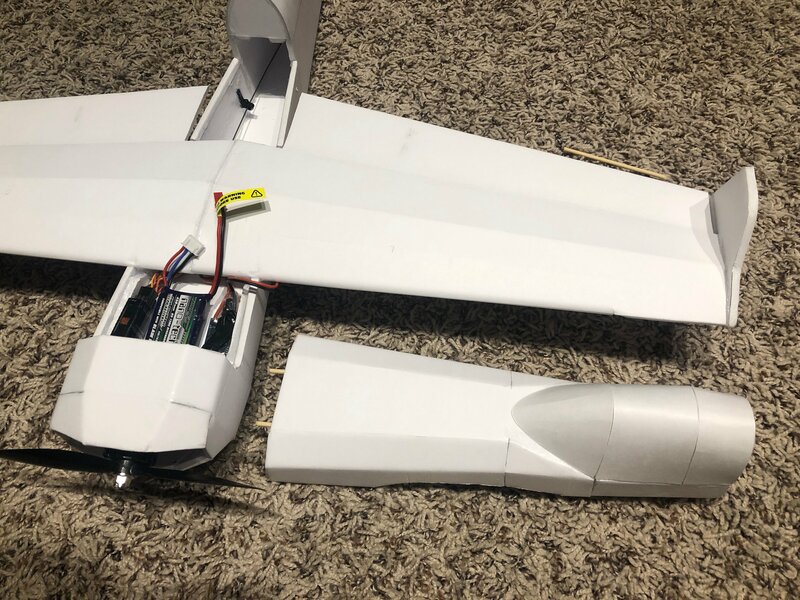 I actually had a successful maiden. 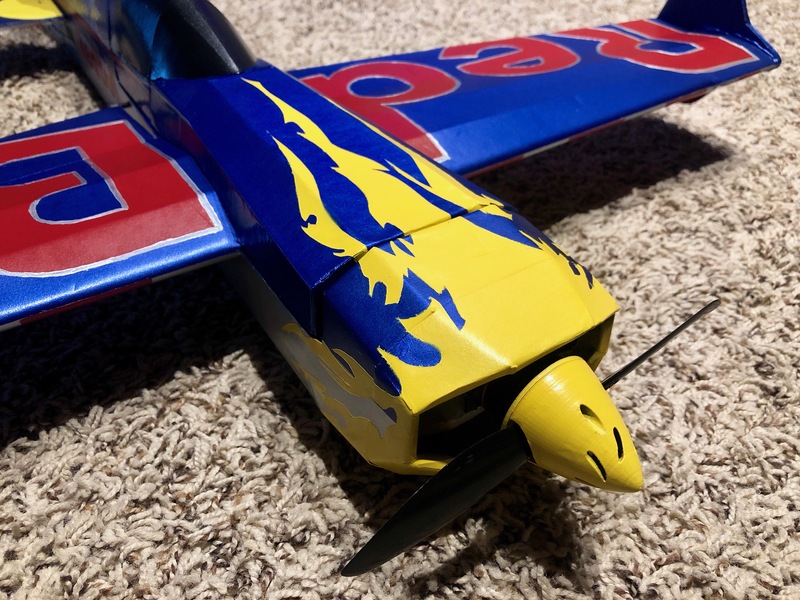 After making a model I typically maiden it, then I start to paint it. 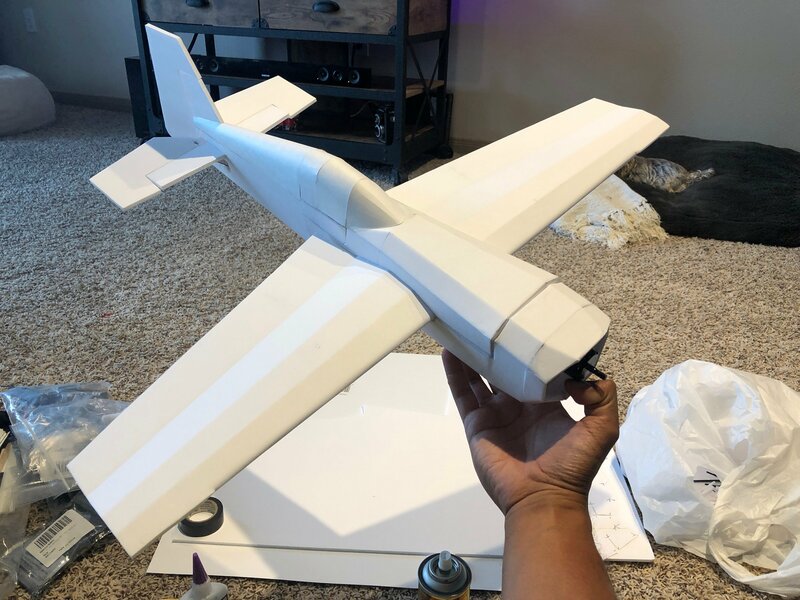 That way I'm not waisting all of my time adding paint and details to something not worth flying haha. 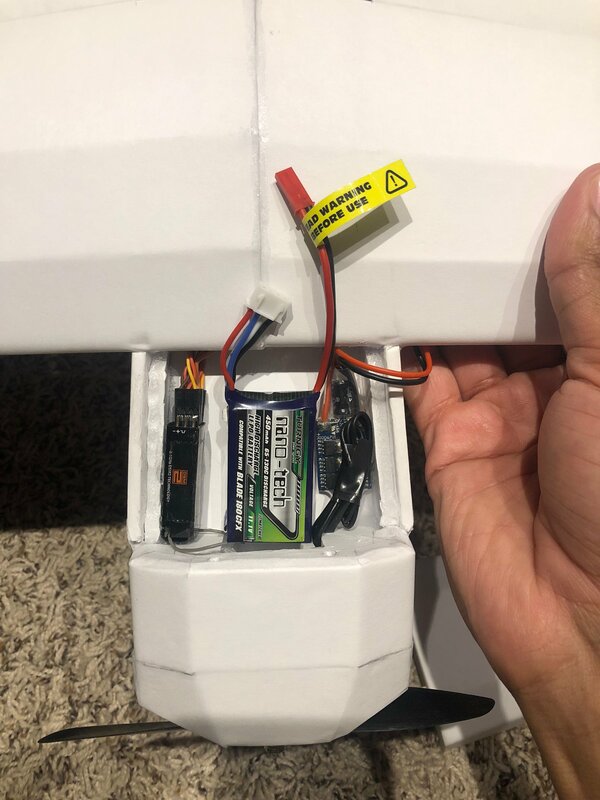 Can it hang off the prop like the full size version? @Mikevsnead looks really good. what electronics did you use? 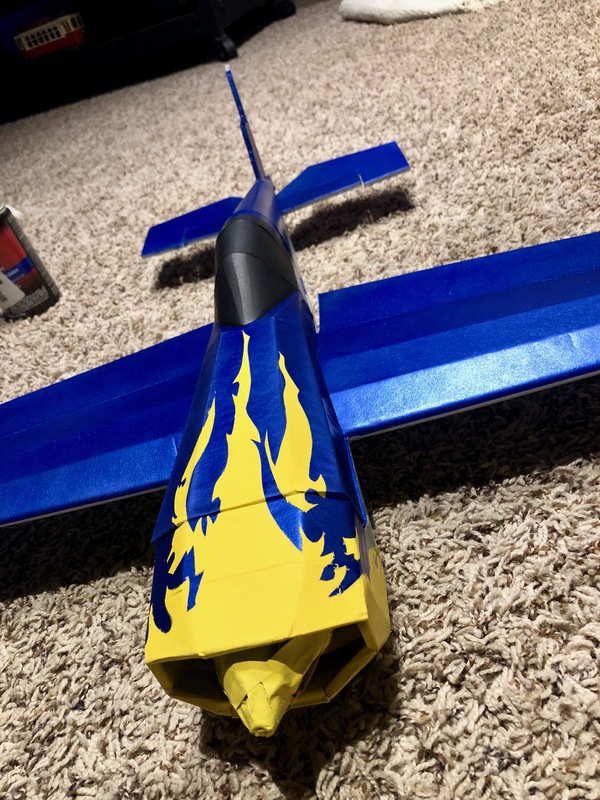 Like they said, great build and Paint job. It is beautiful that’s all I have to say . I did that once with a 600mm FT 3D. I bought a whole can of spray paint for it, but it failed miserably! I think it was tail heavy. It did high alpha really well though! I can't believe I missed this post. That is one awesome looking build. It's honestly hard to believe the finished product is made out of foamboard. That nose cone? It really finishes the plane. I don't know how difficult the 3d printing process was, but you could probably make some money selling those things in different sizes. I too, look forward to some flight video. I bet that bird looks great in the air. 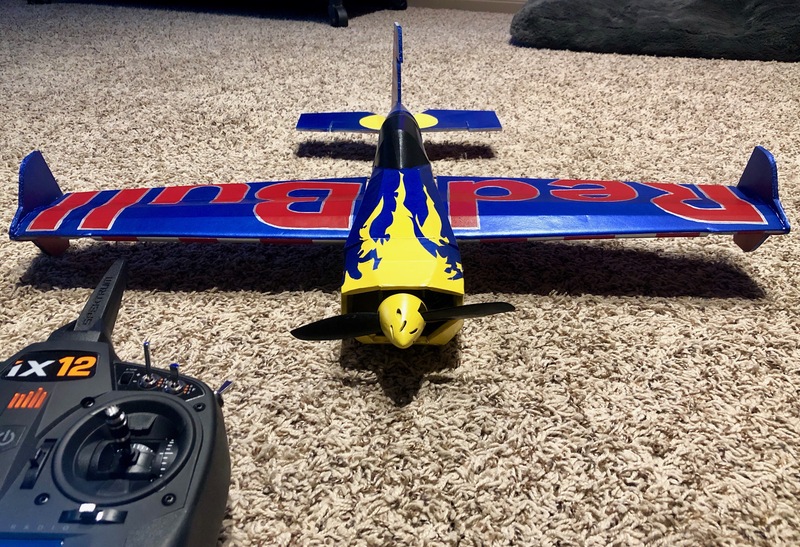 It's running the Emax RS2205 Red Bottom motor with a 30amp ESC, 450mAh, and 5g servos. Thanks man! actually I found the STL 3d print file on Thingiverse, I just modified it and rescaled it some! I took under an hour to print out.